The CIAA North expected to dominate the CIAA South according to basketball predicted order of finish released on Wednesday. Football season is in mid-swing right now, but in the CIAA it’s always about the CIAA Basketball Tournament. The conference released its predicted finish list for men’s hoops on Thursday, and Virginia State was crowned as the team to beat, finishing ahead of Northern Division rivals Bowie State and Virginia Union in the overall predicted finish. 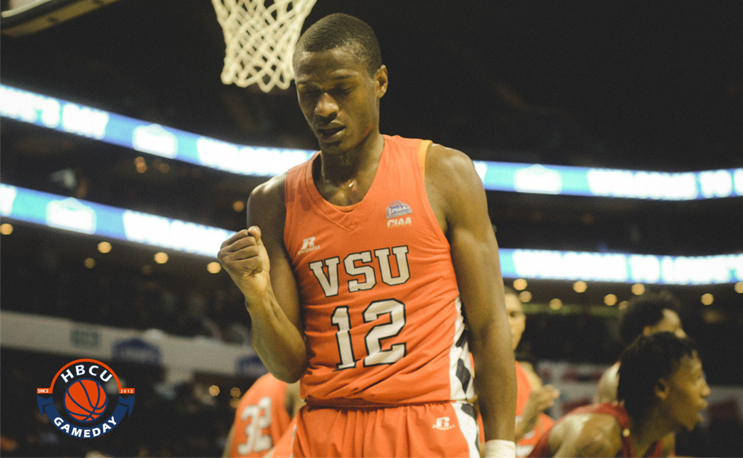 Winston-Salem State was predicted to win the CIAA’s Southern Division and finish fourth overall in the conference. Virginia State University, 107 pts. Bowie State University, 101 pts. Virginia Union University, 96 pts. Winston-Salem State University, 78 pts. Fayetteville State University, 64 pts. Johnson C. Smith University, 62 pts. Saint Augustine’s University, 51 pts. Lincoln (PA) University, 30 pts. Elizabeth City State University, 16 pts. Bowie State, the defending CIAA Champ, returns several key players, including guard Ahmaad Wilson. The senior guard caught fire in the tournament, winning MVP honors as BSU turned into Cinderella in Charlotte. The preseason All-CIAA team is made up of twelve players from six teams. Bowie (Wilson, Omari George), Johnson C. Smith (Christian Kirchman and Robert Davis) St. Aug (Kenneth Collins and Quincy January), Virginia State (Walter Williams and Richard Granberry) Virginia Union (James Paige and Kory Cooley)and Winston-Salem State (Robert Colon and William Crandell) all placed two players each.